Betfair was launched in 1999 as the world’s first online betting exchange and has grown to become one of the largest internet gambling businesses in existence today. Some key facts from their corporate website make for interesting reading…over 3 million registered customers; over 2,000 staff; over 5 million transactions processed daily; around 7 billion page views served weekly; licenses in Gibraltar (sport betting), Italy (sports betting), United States (wagering), Australia (sports betting), Malta (casino); official betting partner of Manchester United, FC Barcelona and Ascot Racecourse; listed on the London Stock Exchange. 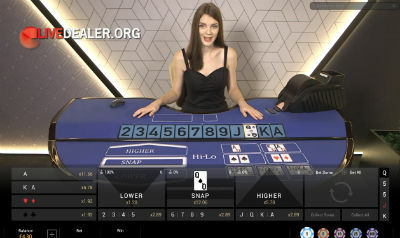 Their online casino is owned and operated by Malta based (MGA licensed) subsidiary Betfair Casino Limited (now part of the Paddy Power Betfair Plc group) and the software that they have chosen for their live games is Playtech’s dealer platform. Betfair also hold a UK Gambling Commission license enabling participation in the UK market. 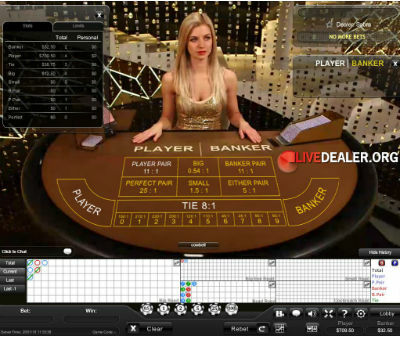 A large array of baccarat tables, all offering standard Player, Banker, Tie bets and payouts as well as side bets. Vision is impeccable and audio crystal clear allowing for easy dealer chat provided you have a reasonable connection. Large range of 7 seat blackjack tables to choose from, all dealt from 8 decks, paying 3:2 for blackjack and dealers standing on all 17s. 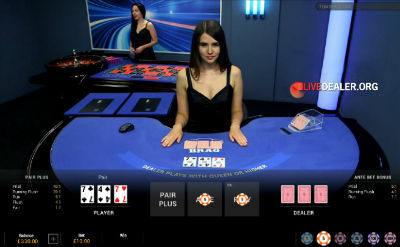 Additionally players can try unlimited live blackjack which is a ‘one’ to many’ deal catering to an unlimited number of simultaneous players. 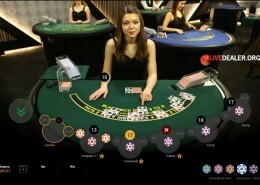 Many European and French roulette tables available, all offering standard bets and payouts. Here you are trying to beat the dealer’s 3 card poker hand. 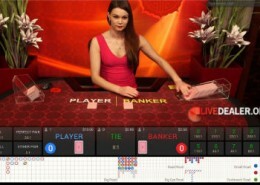 You can read more about live dealer 3 Card Brag here. Bet on whether the next drawn card is higher, lower, or the same as the displayed (last picked) base card. Games don’t get simpler than this. Big money wheel game. Simply bet on a position, and see if it comes up on the big wheel. Payout corresponds to the number you bet on (eg 5 pays 5:1). Multipliers also in play. 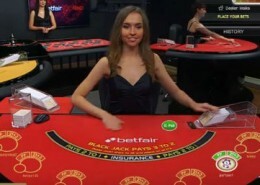 Betfair also offer a range of tables from Playtech’s Manila dealer studio. Blackjack, roulette (European and French), an extensive range of baccarat tables (squeeze baccarat, speed baccarat, progressive baccarat, VIP baccarat with player controlled squeeze) and sicbo may be played on tables inside the Ruby, Sapphire and Emperor Rooms. There’s a lot to like about these games. 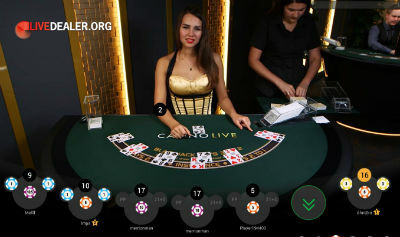 If the aim of live dealer gaming is to replicate the real in casino experience, albeit via remote play, then Playtech’s live games are just about the best there is. the dealers…try not to be beguiled! Not tried betting real money here but if it’s live which I’ve been talking and asking questions to the croupier then you really got to get this misconception out of your head about casinos being able to let you win or make you lose. Real life casinos don’t have a switch like in the flintstones that can let you win or lose. So when you lose stop being a sore loser. Eventually you WILL lose as the house has an edge of 2.75%. Learn more about gambling and statistics before believing silly things like that. If the betfair live is truly not live then that’s a different matter to address. I give it 2 stars because they don’t give you much time to place bets.